It is among the many benefits disabled military service personnel and disabled veterans derive from participating in Project Healing Waters Fly Fishing, a national non-profit organization devoted to the recovery and rehabilitation of wounded, ill and injured active duty military and disabled veterans. “Project Healing Waters Fly Fishing is dedicated to the physical and emotional rehabilitation of disabled active military service personnel and disabled veterans through fly fishing and associated activities including education and outings,” its mission statement says. In the ensuing years, he rose through the ranks and today is the President and CEO of Project Healing Waters Fly Fishing (PHWFF), one who understands first-hand the benefits provided to wounded warriors. “It’s a great concept, pretty simple, but at the same time many of our participants experience camaraderie, friendship and mentoring from volunteers,” he said. 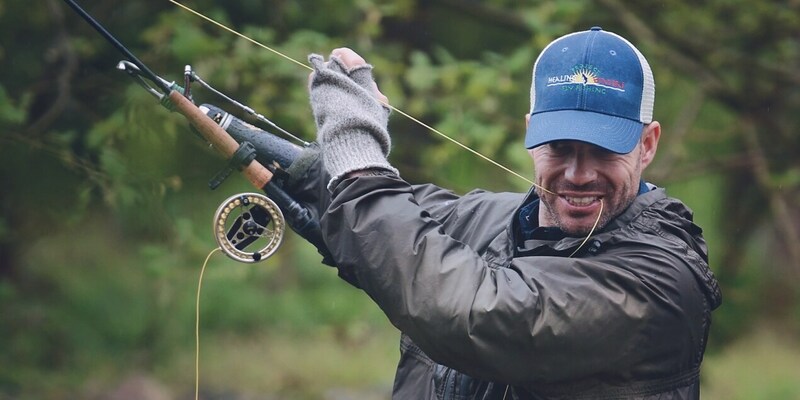 Project Healing Waters Fly Fishing was founded by a retired Navy captain, Ed Nicholson, who in 2005 was undergoing treatment at Walter Reed National Military Medical Center in Bethesda, Md., and observed other patients returning from war zones undergoing physical therapy. Among its newest benefactors is the Jordan Spieth Family Foundation, which made a major donation to Project Healing Waters in keeping with its four core pillars—military support, special needs youth, junior golf and pediatric cancer. Spieth, who has enjoyed fishing his entire life, went on a fly fishing trip with his brother and father late last summer. It was shortly after this unforgettable trip that he learned about PHWFF, instantly recognizing the connection between fly fishing and rehabilitation. As a result, the Jordan Spieth Family Foundation was very excited to support Project Healing Waters and the work it does to provide camaraderie, learning, healing and growth to disabled military personnel and veterans. Its partners include Fly Fishers International and Trout Unlimited, as well as independent fishing clubs. Department of Defense and Department of Veterans Affairs facilities host the Project Healing Waters meetings around the country. Project Healing Waters board member Diane Morales brought the groups together. Morales, a former Deputy Undersecretary of Logistics and Material Readiness for the Department of Defense, is an alum of University of Texas, Austin, where Spieth attended college.